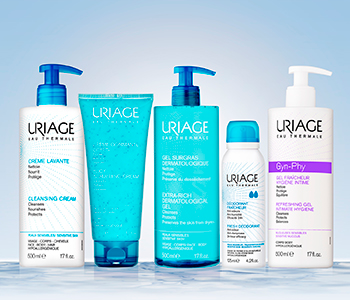 Choose a body care ritual that works for you with Uriage’s targeted collection of cleansers and exfoliators. From top to toe, your skin will benefit from Uriage’s active ingredient-infused body washes and scrubs. Designed for the needs of even the most sensitive of skins, Uriage lets you comfort and calm your skin whilst you cleanse. With gentle and effective solutions for all, including dry, oily and eczema-prone skin, Uriage helps your skin regain a soft and supple texture day after day.